Are you married? 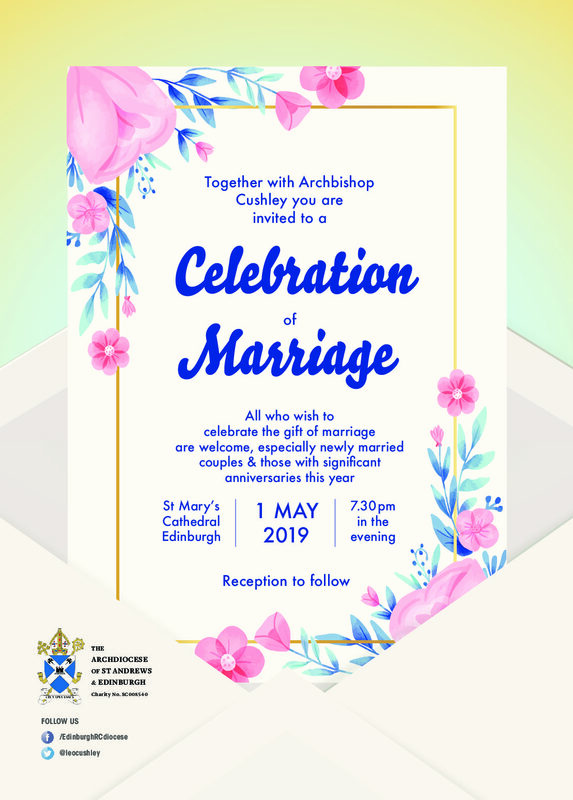 Archbishop Leo Cushley cordially invites you and your spouse to join him on 1 May 2019, the Feast of St Joseph the Worker, to celebrate the the gift of marriage at St Mary’s Metropolitan Cathedral in Edinburgh at 7.30pm. The Archbishop will offer Holy Mass during which he will impart his blessing upon those married couples present. A celebratory reception will follow. All who wish to celebrate the gift of marriage are very welcome, especially couples celebrating significant anniversaries this year.